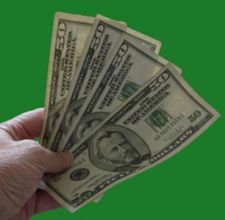 BarterQuest Blog » Check Trades on BarterQuest! Tag Archive for Check Trades on BarterQuest! NEW YORK, May 14, 2013 – BarterQuest (www.barterquest.com), a platform that supports the exchange of goods, services and real estate, today announced that it will be an exhibitor at the Small Business Expo, taking place in New York City at Pier 92, 711 12th Avenue (52nd Street) on Thursday, May 16th. BarterQuest will be at booth 321.The company will encourage small businesses to become members of its trading platform. On BarterQuest, businesses can trade their inventory for the goods or services they need or sell their goods and services to an expanding network of businesses and consumers, increasing their sales, reducing their costs, and expanding their customer base. The goods and services of member businesses will be the subject of special online promotions by BarterQuest. Moreover, they will be first in line to upgrade to BarterQuest’s new B2B platform which is expected to launch this year. The new B2B platform will offer its members immediate trade credit and the opportunity to trade with a highly targeted group of businesses that have been vetted for their attractiveness as trading partners. Businesses that register at the Expo will pay a substantially reduced registration fee. BarterQuest supports the exchange of all types of goods, services, and real estate by consumers and businesses. It offers a full solution for e-barter, providing platforms that allow its users to improve the economics otherwise available to them in the all cash market. Its trading platforms are based on proprietary, patented technology, including the instant matching of the haves and wants of users for two party and multi-party trades. Exchanges are facilitated by a user friendly Web design that is unique in its combination of features. BarterQuest is headquartered in New York, NY and is owned and operated by JPM Global, Inc., a Delaware corporation. For more information, visit www.BarterQuest.com. Except for historical information contained herein, this news release may contain forward looking statements that are subject to risks and uncertainties. If you’ve never bartered, you’re missing out! If you’ve never bartered, you’re missing out. 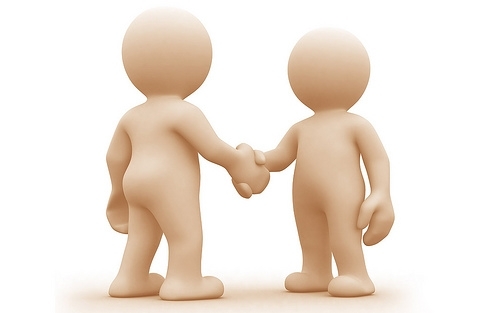 Bartering allows you to acquire goods and services without the exchange of money. Here’s how it works. You’re a writer in need of a good laptop. Instead of purchasing one new or secondhand, you find one through BarterQuest, a cashless trading site. You complete your profile, list what you “WANT”, and add writing to the list of services what you “HAVE”. People with laptops that need writing done for their businesses, can contact you through the site and make an offer. Once you’ve found a suitable laptop, you can make a counteroffer and agree on what you would be willing to write in exchange for the electronic. The other member then agrees to your counteroffer and accepts it. You then make your exchange. Every member must go through the verification process before trading. This ensures that everyone on the site has good intentions and will follow through with their exchanges. The onetime fee for verification is $9.99 which is a small price to pay for years and years of bartering. To learn more about the verification process, refer to the BarterQuest FAQ page. 1. Provides you with warm sense of community and purpose. 2. Gives you the satisfaction of knowing that useful items are not going to the dump and winding up in the landfill. 3. Offers you the opportunity to build your skill set. 4. Allows you to make use your talents and encourages you to pursue interests that you might not otherwise be able to afford. Regular barterers agree that a cashless system of exchange is not only better but more enjoyable. Bartering becomes taxable in areas of the United States and Canada if the goods and services that you receive are worth $100 or more. You can refer to IRS.gov for more information about reporting bartering as “income” on your taxes. Bartering is a great way to stretch your dollars. You acquire the goods and services that you need to make your life easier which frees up your income for other things. Bartering also supports the local economy, allows people to showcase their skills and talents, and keeps goods from the garbage. It’s a win-win situation for all parties involved. A couple of weeks ago, I wrote a piece about how to master haggling to save money. This week I’m giving tips on how to barter successfully. Like haggling, bartering isn’t often done in the U.S. I think part of it is because, as with haggling, people are embarrassed to barter. Some people feel uncomfortable suggesting that they trade resources or talents. 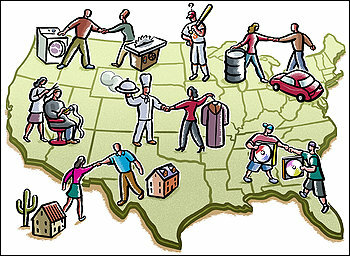 We also lack many of the close community relationships that make bartering easier. When you’re close with your neighbors, church members, or coworkers, there’s a lot less discomfort in trying to arrange a deal. Bartering is nothing more than trading one skill or resource for another. Maybe you trade an hour of mowing the lawn for an hour of babysitting your two-year old. Or you trade some old clothes that your kid has outgrown for some books that your neighbor wants to get rid of. No money changes hands when you barter and that’s the beauty of it. Each party gets something they want or need, but they don’t have to pay for it. If you want to try to barter, here are some tips to get you started. Know what skills or resources you can offer: Think about your skills and resources. Can you sew? Fix computers or appliances? Do yard work or babysit? Build a deck? Make a website? Do taxes? Do you make great jelly? Maybe you have a lot of tools or landscaping equipment that you could loan to someone. Inventory your stuff and think about what might be in demand. Everyone has some skills or resources that can be traded. Once you know what you can offer, you can begin to think about what you might want. Be specific about what you want: When looking to barter, be very specific about what you want. Simply saying, “I need someone to clean my house,” isn’t specific. Potential trading partners have no idea how big your house is, how dirty, or what you mean by, “clean.” A better way of phrasing it is, “I need someone to clean my 1,200 square foot house once per week, including vacuuming all carpets in the common areas, cleaning one and a half bathrooms, and mopping the kitchen floor. I’ll handle the bedrooms and provide all cleaning materials.” When you get specific, people who might want to trade with you can better determine if what they can offer is comparable in value to what you want. Assess the value of what you want vs. what you’re offering: While “value” is often subjective, it is possible to assign a value to the skills/resources you’re offering in comparison to those you want to acquire. The first place to look is on the open market. What does what you want cost in the marketplace? If an hour of cleaning is $100, you need to offer something that’s approximately the same price. If your tool rents for $20 per day, you shouldn’t really ask for an hour of cleaning (at $100) in return unless the person wants to rent for five days. Look online or call some local businesses and ask what they charge for what you want and what you can offer. Identify people you might trade with: There are many ways to find people who might trade with you. First, think about who might need what you have to offer. Then think if there’s anything they can offer you. Maybe you’ll come up with a neighbor who has a broken deck you can repair and you know she’s good with computers and can take a look at yours which has been acting up. If you want to move beyond the realm of people you know, you can advertise on Craigslist or in your local want ads. You can directly approach business owners in your community. Maybe you can offer to clean the gym in exchange for a free membership. Finally, there are bartering clubs that you can join, both online and off. As with anything, make certain you aren’t dealing with scammers. Find out as much as you can about the people you’ll be dealing with and try to avoid getting ripped off. Don’t take advantage, or be taken advantage of: If you’ve agreed to do five hours of labor and you reach that point, don’t let your bartering partner talk you into more unless you are getting more, too. I know a guy who does construction work. He bartered some car repairs with someone who needed a garage finished. Both tasks were valued about the same. Well, after my friend completed his work, his bartering partner kept pushing for more. Being a nice guy, my friend did some of it before he finally put his foot down and said that the deal was no longer fair. Since he didn’t need any more car repairs, the other guy had nothing to offer to continue to make the deal fair. My friend was being taken advantage of and finally had to walk away, leaving bad feelings on both sides. Don’t let yourself be taken advantage of, and don’t be the schmuck who’s always pushing for more. Be fair: You want to strike a deal that’s fair to both of you and leaves you both satisfied. If you can’t agree on terms, it’s better to walk away than to try to push the other person into a deal that doesn’t fit. There are a lot of potential trading partners in the world. Don’t use guilt or threats to try to force a bartering deal. Bartering, done well, can be a great way to save some money. It is also a great way to build relationships amongst neighbors and other communities. Nothing brings people together like striking a good deal. You can also use it as a springboard to bigger things, in some cases. If, for example, you trade some jewelry you made with a few people for some other things you need, word might get around that you make nice jewelry, resulting in paying customers. The same applies to skills like graphic design, computer maintenance, landscaping, or tutoring. You may end up not only saving money but making money, as well. Category: All About Bartering, Save Money Barter / Tags: barter, Bartering Blog, Check Trades on BarterQuest! A new life’s challenge: having a baby! Within the next 9 months there are a lot of things to do and many things to consider, especially if it’s your first child. You have to get clothes, toys and furniture for your newborn. But it’s not necessary to spend all of your hard earned money on things that are brand new. 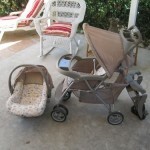 The baby will grow so fast that you have to get new things almost every month. 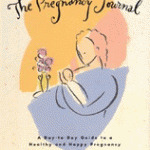 To avoid stress, the soon-to-be mother should get all the important things for the baby step-by-step. 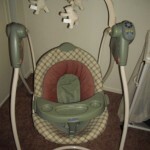 A changing unit, the stroller and a car seat could be obtained during the pregnancy. Thereby, the mother should consider bartering as an option to save money, time and stay green. But not only material things count to make a baby happy. Especially during the pregnancy, the mother should take care of herself. She should avoid everything which could harm the baby. Drinking a lot of water, vitamins and eating a balanced diet will help the baby to stay healthy. These days, though, swapping services in online forums is on the rise. SwapTreasures, an Internet bartering forum, has reported a traffic increase of 40% since the recession took hold, a member of the site’s support team wrote in an e-mail. The bartering section of Craigslist undoubtedly features a wider cross-section of users, but as a result, the listings often come off reading like a virtual scrap heap. Still, students are using the site with varying degrees of success, trading everything from tennis lessons to baby-sitting sessions to get by without things getting too expensive. Leia MonDragon, a 23-year-old Borough of Manhattan Community College student, began bartering for child services to supplement her freegan lifestyle. She hasn’t ended up with a house quite yet, but MonDragon uses Craigslist to barter for child care while she works or attends classes in the evenings. Since freeganism “is more based on the idea of gifting,” MonDragon said it’s necessary to barter for a service like babysitting. For her part, MonDragon offers to provide child care services or music lessons on her end of the barter deal, but since her trades often involve people looking after her child, she said she takes extra precautions when selecting someone for the other end of the trade. Her advice? Take things slow. * Go with your gut. MonDragon drives the point home: “Creeps often come across as creepy.” If someone wants to rush a deal or starts pelting you with off-the-wall demands, you have every right to pull the plug on the transaction. It’s online bartering, not an arranged marriage. * Do some “freesearch.” Sites such as SwapTreasures and BarterQuest offer barter services in the same manner as Craigslist. Peruse the postings around campus, in local coffee shops and in alternative newspapers. You might be surprised at what you find. * Tell people where you will be when it comes time to trade. Better yet, bring a friend with you when it comes time to swap, and meet in a public place. “If you have a cell phone, bring it with you when you go to meet people,” MonDragon advises. * Make your purpose known, then build a community. Start a Meetup group, which would allow people to RSVP, post their needs and network with each other. You can also publicize through Facebook, Twitter and other channels. * Don’t be afraid to reach out. Maybe your neighbor is fantastic at cutting and coloring hair, and maybe you’re awesome at graphic design. Maybe said neighbor could use a new business card logo as badly as you might need your roots done — do you see where I’m going with this?Don’t be shy. Here are some useful resources for those looking to get started with barter. When we barter through Geektime, we ALWAYS use a barter agreement. You can download the sample barter agreement (in PDF form) that we use from this site. It’s a simple one page template we found on the Internet, but it spells out who is bartering, what is being bartered and creates an official record of your trade. Craig’s List – the online classified giant has a free barter section for each region in which it operates. 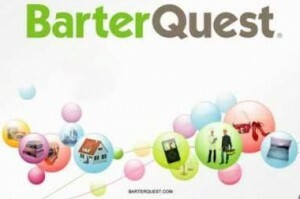 BarterQuest – a well designed interface designed to match up partners based on “wants” and “haves”. Easy to use and search. U-Exchange – a no frills bulletin board system with filtering and search capabilities. FavorPals - very similar to U-Exchange, with time and date stamps to indicate freshness. Don’t forget the IRS. They want to be paid on any and all compensation you receive, including bartered goods and services. Topic 420 on the IRS website covers bartering income from their perspective. If you have any information you’d like to add, please comment. Happy Bartering! I read an interesting story today. It seems that a town (a larger one too) is having money problems and one of the budget cuts was mowing a meadow. A lady who owns dairy goats is being allowed to let her goats keep the meadow mowed. Good fodder for the goats and free mowing for the town. I’m thinking that many towns might be open to such an idea these days. I wonder what other ideas like that will come out of these economic hard times. It makes sense though and government rarely makes sense, so it must be the smaller governments that do these things. One year, the small town I raised my kids in had a budget shortfall and the school budget was targeted. It was decided that gym, art,and all extras would be cut. There were many teachers in the school who lived in the town too, and they fought their own union to be able to contribute to the solution. They gave up cost of living raises for two years. The parent group paid for a weekly sports program, volunteers came in daily and ran the computer program and volunteers ran two talent shows with afternoon practices to help with the art and gym issue. It worked and worked well. Solutions can start at the ground level, instead of letting big government come up with them. This led me to think about how we can make common sense solutions a part of our lives. I think that barter must be a part of those solutions. I can barter a ton of holiday crafts or jam and pickles for some maple syrup and a couple of hours of wood cutting. We need to think of these things and actually implement them into our lives more. We are so used to either doing without or paying hard cash for the things we want and need when barter and haggling is accepted in many parts of the world. I wonder when good sense went out of fashion in this country? Perhaps this is a case of “the proof is in the pudding” as the saying goes…this economy is in trouble and most Americans spend like nothing is different. Why barter? Here are some reasons, and some cautions. – It’s the new national pastime. Okay, baseball still wins. But given the economic downturn, many people are reverting to this ancient form of commerce. Craigslist recently reported that bartering activity on the site had jumped more than 80 percent in the past year. Sites such as BarterQuest.com report a surge in interest, too. BarterQuest, which offers swaps on a wide variety of goods and services, drew more than 100,000 visitors just two months after the Web site launched late last year. The reason? Bartering is addictive — and fun. Kent Berryman, founder of Swap-It-Now.com, says that once users post one item, they usually offer up more. – You can trade just about anything. Want to upgrade your camera? Online retailer Adorama will give you a free quote on a price for your old camera and cut you a check or offer a credit toward new equipment. Dying to break your car lease? Go to Swapalease.com or LeaseTrader.com, which, for a fee, will pair people who want to unload their leases with people who want to assume them. But don’t stop there. At SwapThing.com, recent trades included a gas clothes dryer for a high-speed table saw, a personal-shopping jaunt for a Nintendo Game Boy and games, and a service swap between a hairdresser and an accountant. – Let the barterer beware. Craigslist doesn’t prescreen users. So if you’re looking to swap for a service you really need — such as babysitting — start by contacting friends and neighbors. Or try a site that verifies the addresses and phone numbers of its users, such as BarterBee.com. BarterBee lets you trade CDs, movies and video games free of charge. But, says chief executive Robert Alvin, be sure that you know what your product or service is worth. “If you list it too high, it won’t move,” he says. Want to upgrade your camera? Online retailer Adorama will quote you a price for your old camera free and cut you a check or offer a credit toward new equipment (go to www.adorama.com and click on “sell used equipment”). Dying to break your car lease? Go to Swapalease.com or LeaseTrader.com, which, for a fee, will match up people who want to unload their leases with people who want to assume them. But don’t stop there. At SwapThing.com, recent trades included a gas clothes dryer for a high-speed table saw, a personal-shopping jaunt for a Nintendo Game Boy and games, and a service swap between a hairdresser and a certified public accountant. Craigslist doesn’t prescreen users. So if you’re looking to swap for a service you really need — such as baby-sitting — start by contacting friends and neighbors. Or try a site that verifies the addresses and phone numbers of its users, such as BarterBee.com. BarterBee lets you trade CDs, movies and video games free, and it will post a detailed description of your item for you. But, says Robert Alvin, BarterBee.com’s chief executive, be sure you know what your product or service is worth. “If you list it too high, it won’t move,” he says. You can join a home-swap club, such as International Home Exchange Network (www.ihen.com), for as little as $40 a year. For tips on finding the right club, go to KnowYourTrade.com. Chectravel.com offers members added security, such as address-verification services, online exchange agreements and, if problems arise, mediation services ($25 a year; home-exchange insurance starts at $15). Caveat: If you’re hoping to swap on a particular date, start looking for a match as early as possible. Then, once you’ve found someone, keep in touch. If you barter on more than a casual basis, you may be required to report your transactions. The IRS has guidance on its Web site (www.irs.gov), but check with your accountant. If you’re a small-business owner and trade services with another firm or use a barter exchange, such as Barter Business Unlimited (www.bbu.com), you need to pay tax on the value of the goods or services you bartered. The general rule of thumb: If the service you receive is a substitute for business income, you must report it. This week we fund a very interesting article about a men who decided to live his life without money. Is it possible to live without spending any cash whatsoever? After becoming disillusioned with consumer society, one man decided to give it a try. The morning I finally decided to give up using cash, the whole world changed. It was the same day news broke about the banks’ misbehaviour in the sub-prime mortgage market, so when I began telling people of my plans, they assumed it was in preparation for some sort of apocalyptic financial meltdown. However, having long viewed credit as a debit against future generations, I was infinitely more worried about what George Monbiot called the “nature crunch”. Nature, unfortunately, doesn’t do bailouts. I suppose the seeds of my decision to give up money – not just cash but any form of monetary credit – were sown seven years ago, in my final semester of a business and economics degree in Ireland, when I stumbled upon a DVD about Gandhi. He said we should “be the change we want to see in the world”. Trouble was, I hadn’t the faintest idea what change I wanted to be back then. I spent the next five years managing organic food companies, but by 2007, I realised that even “ethical business” would never be quite enough. The organic food industry, while a massive stepping stone to more ecological living, was rife with some of the same environmental flaws as the conventional system it was trying to usurp – excess plastic packaging, massive food miles, big businesses buying up little ones. My eureka moment came during an afternoon’s philosophising with a mate. We were chatting about global issues such as sweatshops, environmental destruction, factory farms, animal testing labs, wars over resources, when I realised I was looking at the world the wrong way – like a western doctor looks at a patient, focusing on symptoms more than root causes. Instead, I decided to attempt what I awkwardly term “social homeopathy”. I believe the key reason for so many problems in the world today is the fact we no longer have to see directly the repercussions of our actions. The degrees of separation between the consumer and the consumed have increased so much that people are completely unaware of the levels of destruction and suffering involved in the production of the food and other “stuff” we buy. The tool that has enabled this disconnection is money. If we grew our own food, we wouldn’t waste a third of it as we do today. If we made our own tables and chairs, we wouldn’t throw them out the moment we changed the interior decor. If we had to clean our own drinking water, we wouldn’t waste it so freely. As long as money exists, these symptoms will surely persist. So I decided, last November, to give it up, for one year initially, and reconnect directly with the things I use and consume. The first step in the process was to find a form of sustainable shelter. For this I turned to the amazing project Freecycle, through which I located a caravan that someone else didn’t want any more. I also needed somewhere to put this new home, so I decided to volunteer three days a week at an organic farm near Bristol in return for a place to park my caravan. Had I equated this in terms of my previous salary, it would be like paying penthouse apartment rent for what was effectively a little tin box. But that was the type of thinking I was now trying to get away from. Having no means of paying bills, the next challenge was to set this home up to be off-grid. For heating I installed a wood-burner I’d converted from an old gas bottle, using a flue pipe I had salvaged from the skip. I fuelled it using wood from trees we coppiced on the farm, meaning fuel miles became fuel metres. Food was my only other real necessity: I think of there being four legs to the food-for-free “table”. Growing your own, which is obviously what I’ve been doing here on the organic farm (my staples are potatoes, beans, kale, carrots, salads, root vegetables, squash, onions and swede); wild food foraging, which is nutritionally exceptional and beautifully gentle on the environment (I forage for berries, nettles, mushrooms, nuts and greater plantain for a hayfever remedy); and also securing waste food and other goods from local restaurants and shops. This is an incredible resource to draw on, and although its existence is, of course, dependent on industrialised society, I feel like I have an obligation to consume it before using up any more energy producing food. The final leg of my food table is bartering – using my skills or any excess food I’ve produced to secure anything not met by the other three methods. This means I meet people from all walks of life doing what I do, and while many claim that they couldn’t – or wouldn’t want to – do the same, most seem to understand where I am coming from and resolve to reduce their own consumption wherever they can. When I first said I was going to do this, my parents probably wondered what they should have done differently during my formative years, but now they are right behind it, and may even contemplate joining me one day. But what I soon realised is that, in a moneyless world, everything takes much more time. Handwashing my clothes in a sink of cold water, using laundry liquid made by boiling up some nuts on my rocket stove, can take two hours, instead of 10 minutes using a washing machine. Finding stuff in skips – such as the steamer I cook with – takes far longer than popping out to the shops for one, and sorting out the compost toilet is a lot more hassle than flushing it “away”. Cycling the 36-mile round-trip to Bristol also takes a lot more time and energy than driving or catching the bus or train, but it’s also an economical alternative to my old gym subscription, and I find cycling much more enjoyable than using motorised vehicles. The point is, I’d much rather have my time consumed making my own bread outdoors than kill it watching some reality TV show in a so-called “living” room. Where money once provided me with my primary sense of security, I now find it in friends and the local community. Some of my closest mates are people I only met because I had to build real relationships with others based on trust and kindness, not money.